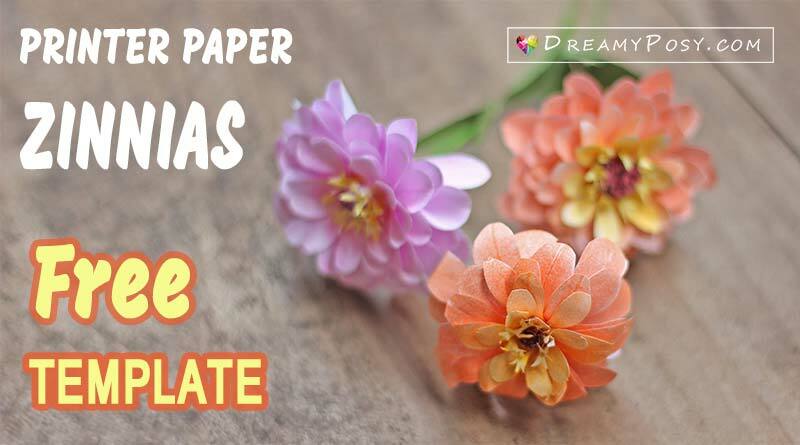 Tutorials of Zinnias paper flower with the FREE template, made from printer paper and pastel chalk, is a perfect summer craft for you. I got some requests to make zinnias paper, so I’m sharing it with you now. Zinnias are not kind of flower that you will love at the first sight, but if you will definitely love it as you have a close-up look, so brilliant. Make the fringed center with 2 strips 1cmx 21cm, fold and cut as an eyelash. Use glue gun to attach with the wire to make stamen. Keep the remaining of the above circles, then cut, color and glue for about 8 tiny flowers around the stamen. Color the smallest petal layer with yellow and the bigger layers with orange (you can create your own favorite color here). 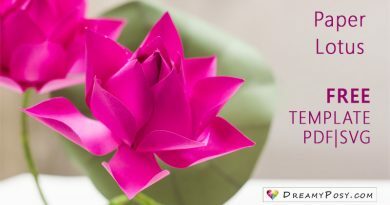 Shape the petals in different ways with scissor or stylus, as the video tutorial. Cut the circle petal in half and glue it around the stamen. 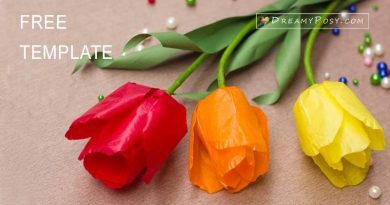 Cut out a strip of ordinary tissue paper to make a sepal shape under the last petal layer. Around with my sepal template. 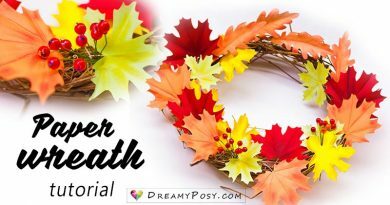 Cut and use the scissors to make the leaves and finish it. You might yourself how to make a paper flower, or how to make a printer paper flower? 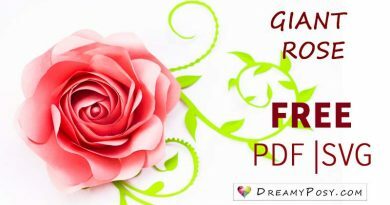 There are many more free templates and tutorials to make flowers from printer paper here. Check it out. All of the flower tutorials on this site are excellent, they are so realistic and you show all of the detail on how to make them easily. I have told many of my crafting friends to look at your site as my flower making has improved greatly since I tuned in to your videos. THANKYOU SO MUCH. Oh, Janice. It’s so sweet to hear that. It’s so great to have your compliments on the first day of the year. Thank you sooo much. The PDF template is just a small link in the end of material list. Thank you, Mary. These are stunning and look sufficiently simple to make in your instructional exercise, however i don’t exactly comprehend the bordered strip in the middle and how to append the wire stem. Those parts were lost in the video. These are gorgeous and look easy enough to make in your tutorial, but i don’t quite understand the fringed ribbon in the center and how to attach the wire stem. Those parts were missing in the video. Thank you, Kathy, for stopping by. For the fringed ribbon in the center, it started in 1:14 to 1:20 in the video clip. I cut two long strips of 1cm x 21cm, fold and cut as eyelash and use the glue gun to attach to the wire. If you still have any queries, please just let me know. I will try to write down the detail instruction right now, I always ignore this step as my English is not good enough to describe it.